Lauded Norwegian author Torgrim Eggen lashed out against Culture Minister Thorhild Widvey this week, and was highly critical of the Conservative-led government’s cultural policy. Eggen presented his views on the direction of the arts in Norway at the Festival of Literature (Norsk Litteraturfestival) on Wednesday, Scandinavia’s biggest literary event. 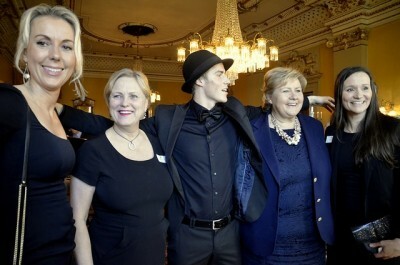 Eggen’s talk on the Government’s cultural policy was called “The Siv-Erna Experience,” after Conservative (Høyre) Prime Minister Erna Solberg and her coalition partner, the Progress Party (Fremskrittspartiet, Frp) leader Siv Jensen. He told newspaper Aftenposten that Widvey had “harped on” about small budget cuts, then thrown her support behind the expensive Olympics pitch. Eggen said he had liked the former cultural minister, Labour’s Hadia Tajik, and said the previous government had not distanced itself as strongly from the things the arts scene created, and the way it was financed. He rejected the current government’s preference for private sponsorship of cultural projects, saying Norway lacked the kind of economic upper class needed to back artistic projects. He said Widvey’s support of Oslo’s Olympic bid was the final straw, and if there was a clear government majority for the Olympics, it would be a major disaster for the arts sector. In an email, Widvey told Aftenposten no changes or cuts to the grants scheme are planned under the current government. She said she didn’t mind Eggen’s critique, because a diversity of strong and independent voices are important to the arts scene. Widvey accepted structural changes and a new policy direction could be unsettling, and stated Norwegian culture would continue to get significant public funding. But she said more private funding would only help the arts community. “The new cultural policy will also help the actors in the cultural scene to be able to spend even more of the resources on concentrating on developing content and quality – after eight years with very strong weight put on infrastructure development,” she said.